Attractively designed in a Japanese garden style, the patented 4 inch x4 inch white vinyl Ambience solar post cap provides a warm yellow flickering light, giving the effect of a lit candle. Dependable performance with a unique style. Will fit over an actual 5 inch x5 inch or 4 inch x4 inch post (4 inch x4 inch adaptor included). The 4x4 copper Prestige solar post cap is finished in a rich antique electroplated copper. Stylish and durable performance you can depend on. Our patented window frame design with frosted lens will create a unique ambience. Will fit over an actual 4 inch x4 inch or 3.5 inch x3.5 inch post (3.5 inch x3.5 inch adaptor included). The stylishly graceful Wellington Solar Post Cap will add a distinct charm to your home. It is designed using four high output LEDs to illuminate the beautiful hand crafted stained glass and the surrounding area. Will fit over a 5 inch x5 inch , 4 inch x4 inch or 3.5 inch x3.5 inch post. Treated Wood 4 In. x 4 In. 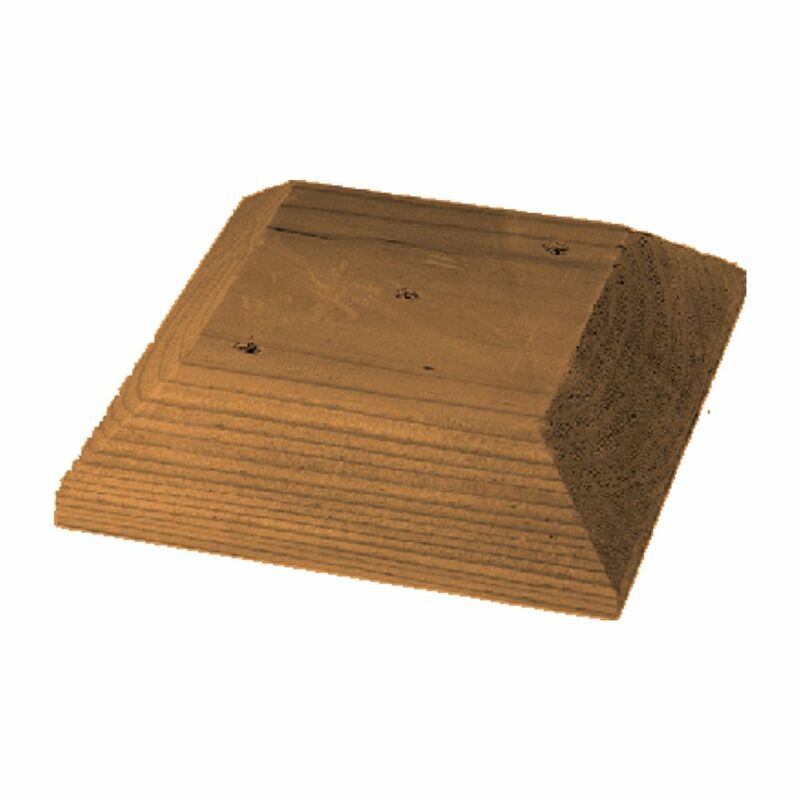 Post Cap MicroPro Sienna Treated Wood uses the only wood preservative technology that is low VOC and certified as an Environmentally Preferable Product. Innovative colour pigment technology gives the treated wood a warm, finished look.